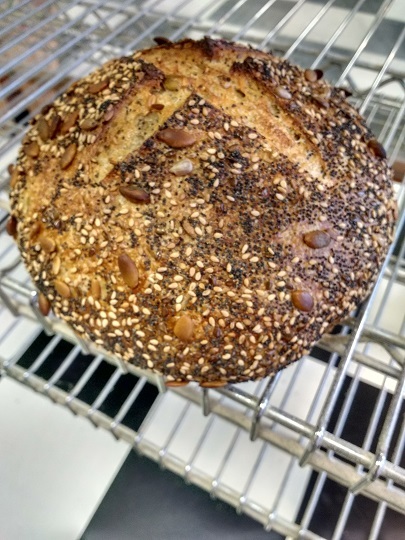 Roasted pumpkin, sunflower, sesame, flax and poppy seeds in wheat sourdough! 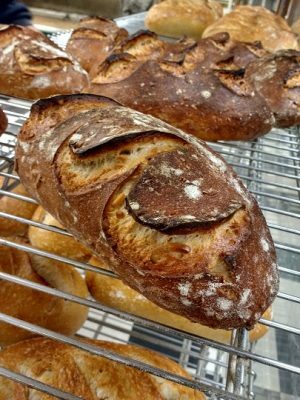 We start with our deliciously chewy sourdough wheat dough. 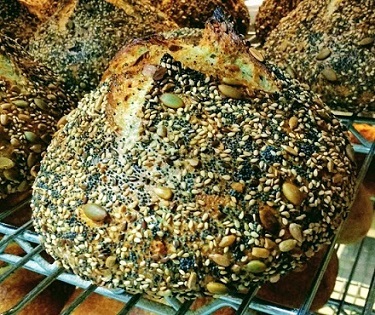 Then we mix in a generous measure of roasted pumpkin, sunflower, sesame, flax and poppy seeds. 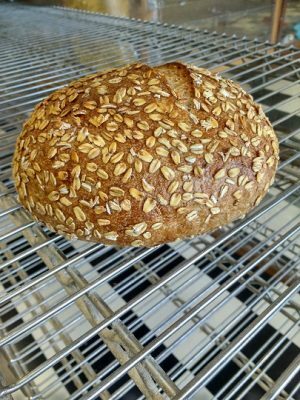 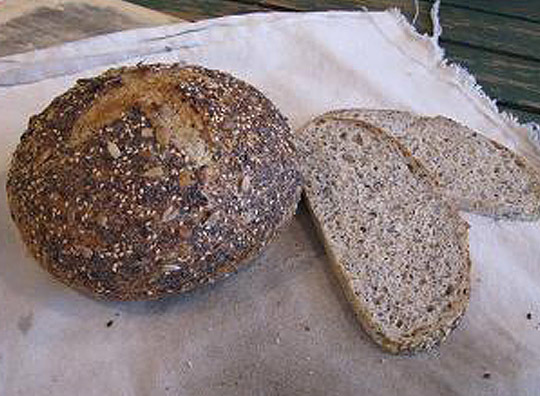 We roll the unbaked loaf in a mixture of raw seeds and they roast to crispy perfection on the crust as the loaf bakes. 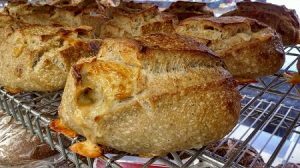 The aroma is heavenly… the perfect compliment to farmhouse cheddar cheese and apple butter.